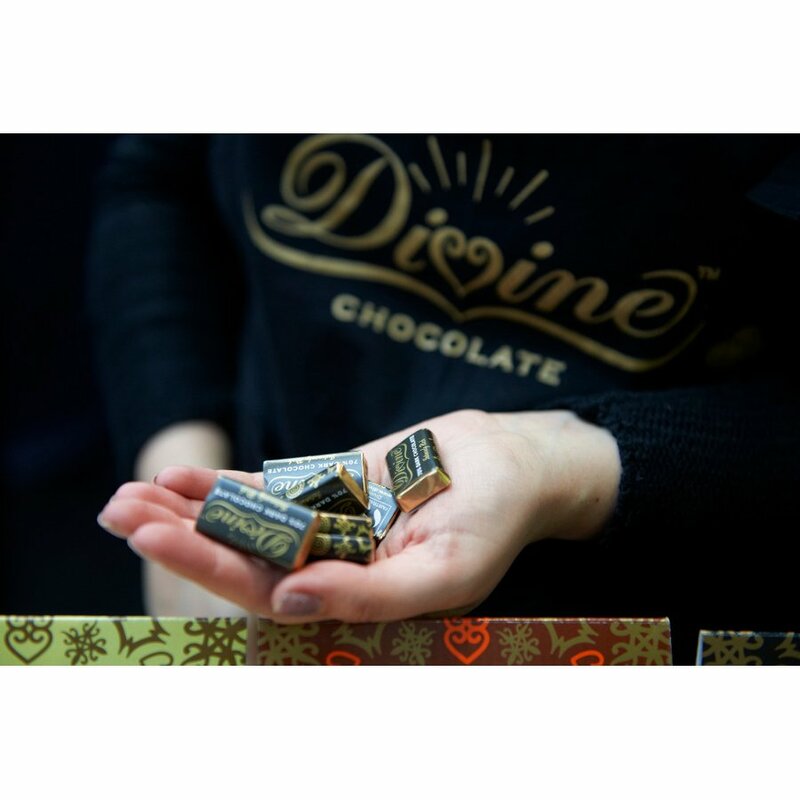 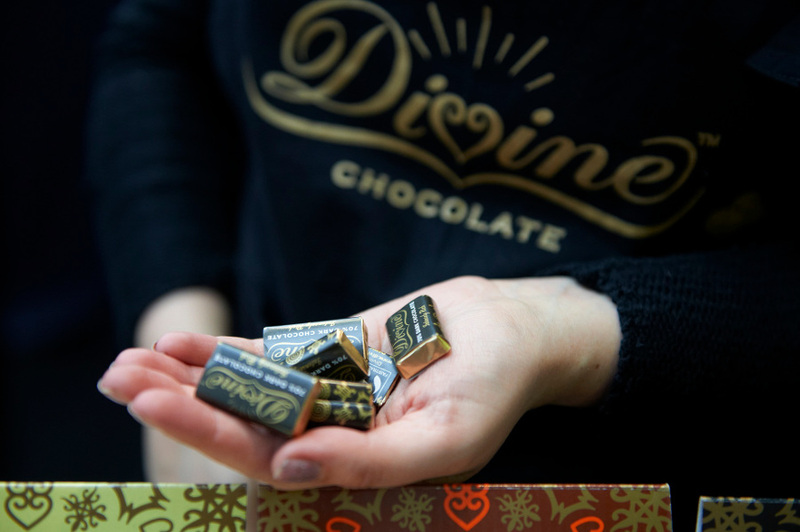 The Divine Dark Chocolate Minis pack contains individual 4.2g minature bars of 70% Dark Chocolate Divine bar. 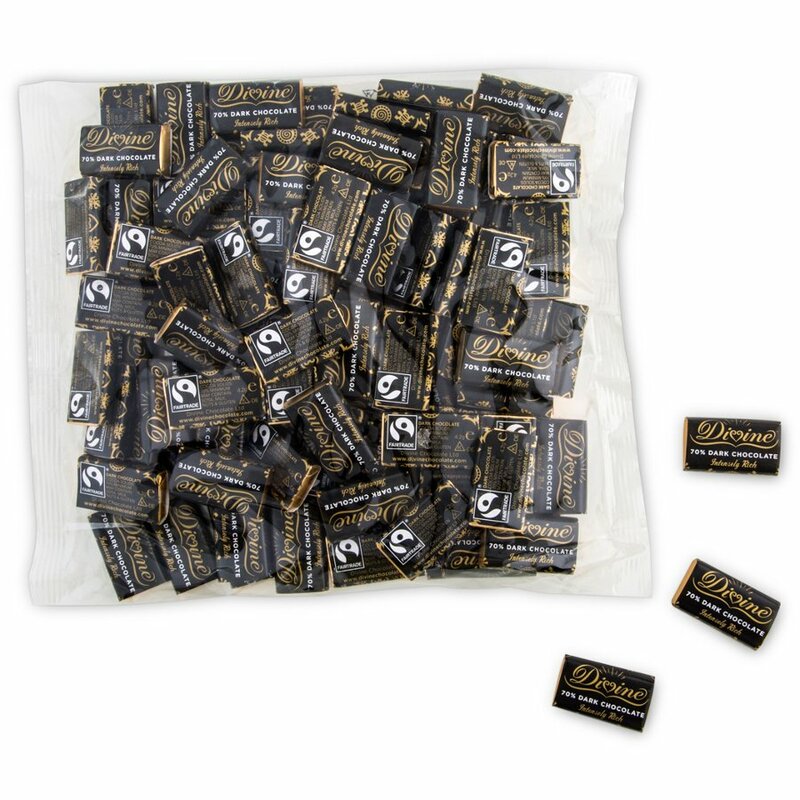 100 x Divine 4.2g minis per bag. 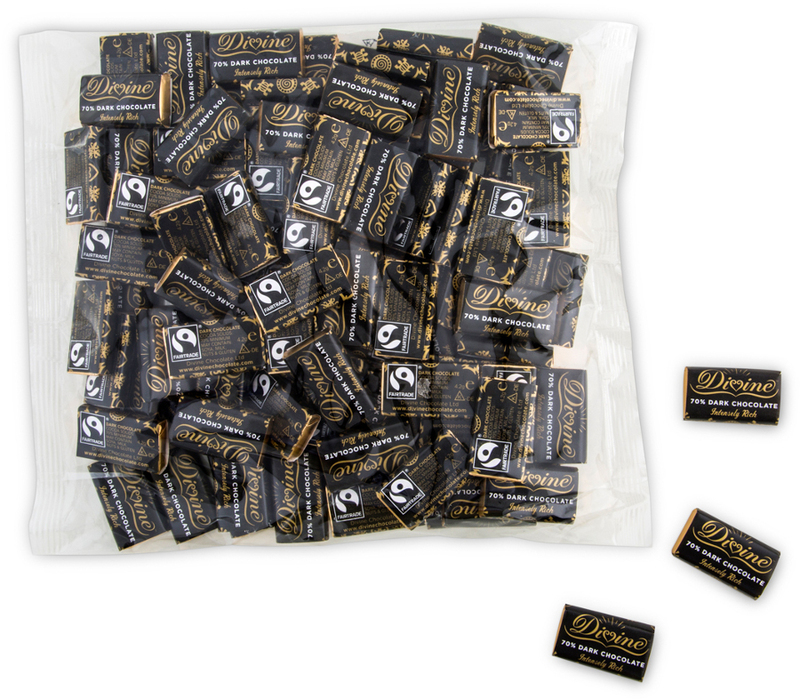 Fairtrade cocoa mass, Fairtrade sugar, Fairtrade cocoa butter, Emulsifier: Sunflower lecithin, Real Vanilla, Cocoa solids: 70% minimum, Fairtrade Ingredients: 99%. 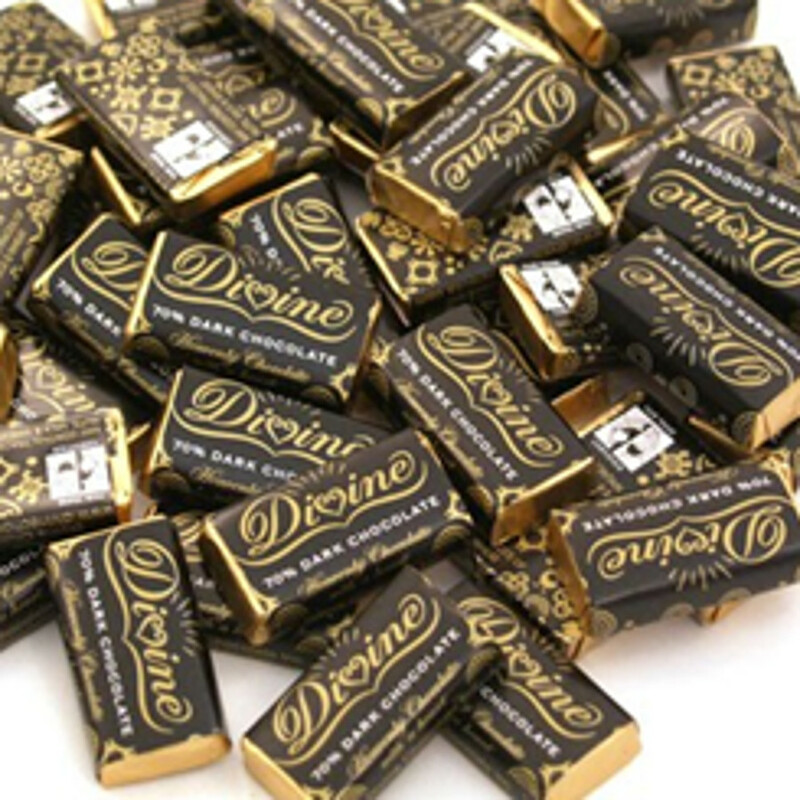 There are currently no questions to display about Divine 70% Dark Chocolate Minis - Bag of 100.